" LG cinema 3D Smart TV"
Welcome to the Next Generation 3D TV from LG. 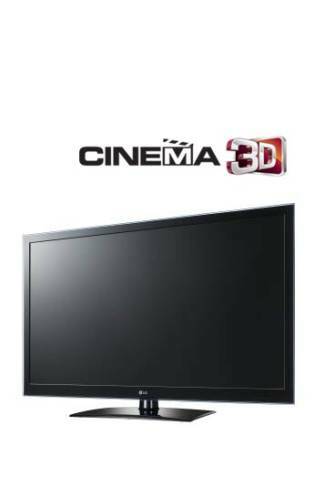 The Cinema 3D Smart TV series provides the ultimate in-home entertainment to share with your family and friends by bringing the cinema 3D experience home. The LW6 series also offers Smart TV and TruMotion 200Hz - so you can watch the best of the internet on the big screen and access all your favourite entertainment from multiple devices from the comfort of your living room sofa. 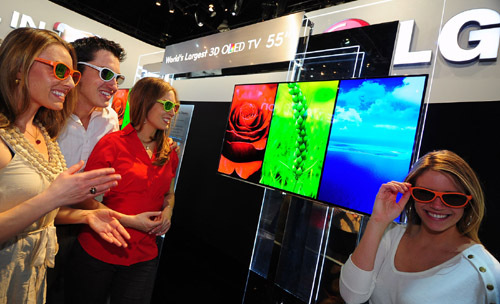 Why do you want to excite your senses with LG Cinema 3D Smart TV? Simply point, click, drag to control everything, including your TV programs, favorite applications, premium content, and media sharing. The LG Smart TV User Interface was specially designed to deliver the most simple control of your home entertainment. And it's this ease of use that ultimately gives you the freedom to truly enjoy a wide variety of content and application. This new technology features a 1mm, bezel. Do you know how slim that is? it would look so sleek up on my wall with a full sound system. So instead of going to the cinema all the time, I can bring the cinema to me any time. Sides, I don't have to worry about movies getting off theater, I can watch whatever I want, whenever I want. Well, for being so slim, it is definitely lighter than compared to others. Lightweight glasses, cool 3D effects and ultimate immersive viewing experience? LG’s Cinema 3D TV can bring it right into your home and on top of that, it’s loaded with the virtually limitless entertainment capabilities of LG 3D Smart TV. Trust me, staying in has never looked better. LG has certainly talked the good talk with its new LG Cinema 3D Smart TV. But now it’s time to walk the walk, as we find ourselves staring with anticipation at the brand’s flagship where all the 3D bits are built into the TV rather than the glasses. Imagine what it would be like having to excite your senses this way. There's really no need to pay for expensive trips to have an adrenaline rush, all you have to do is click a button and everything is as good as an adventure. Time: 6:30 pm on wards.